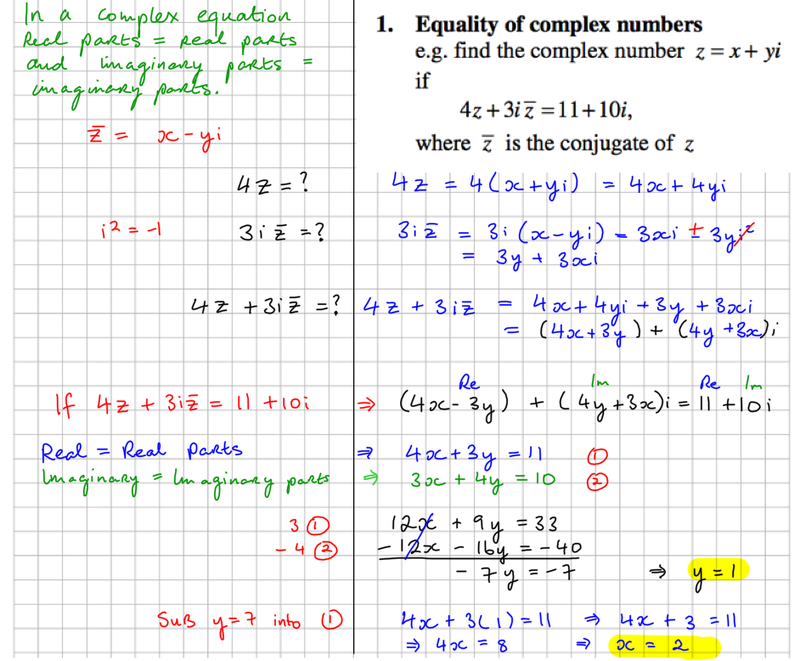 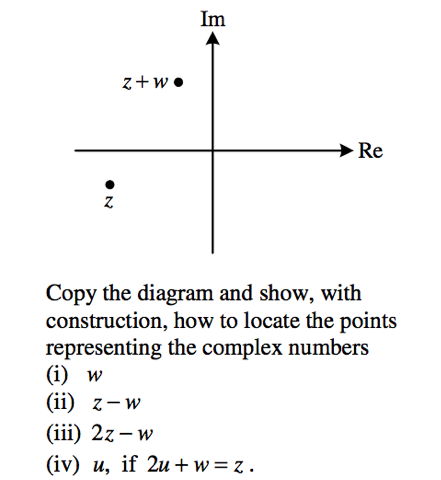 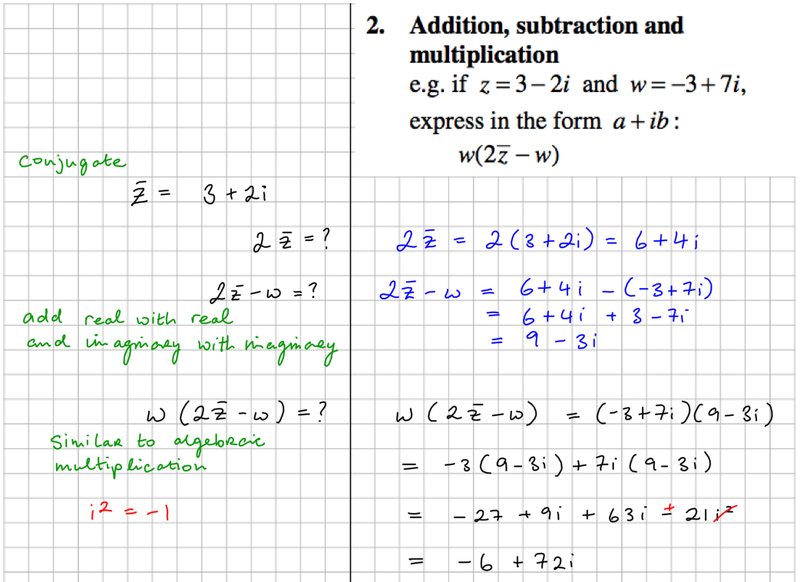 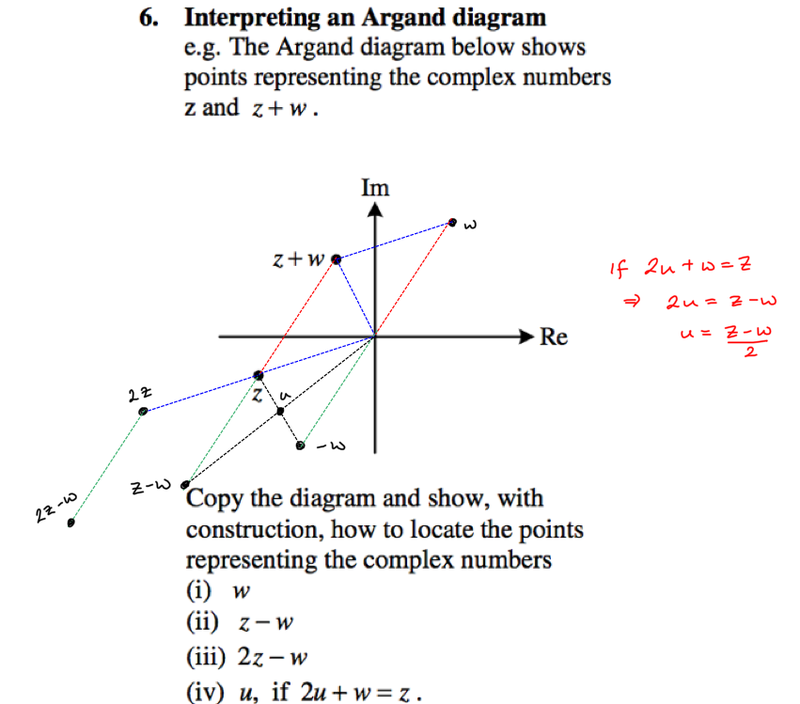 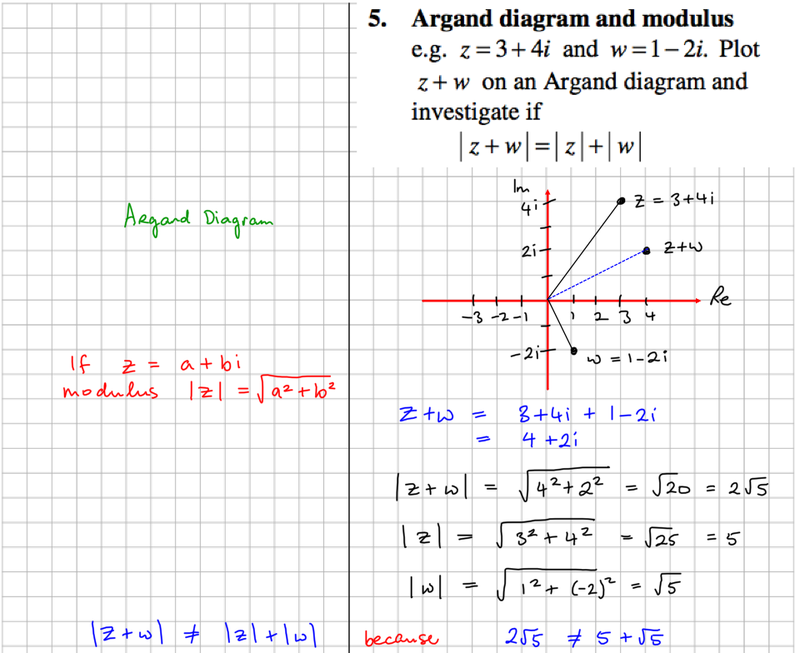 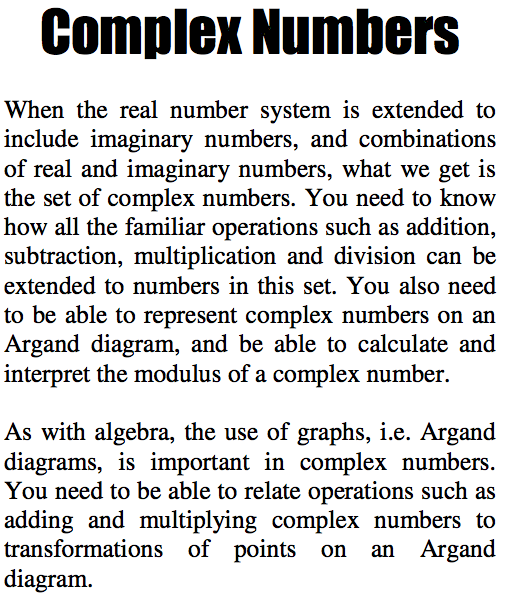 Introduction to Complex Numbers: Addition, subtraction, multiplication, powers of i.
Graphing complex numbers on an Argand diagram and finding the modulus of a complex number. 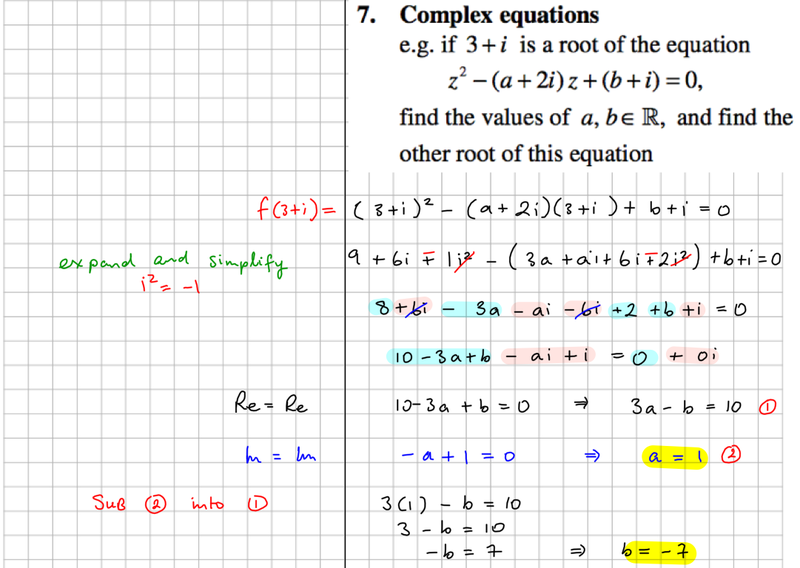 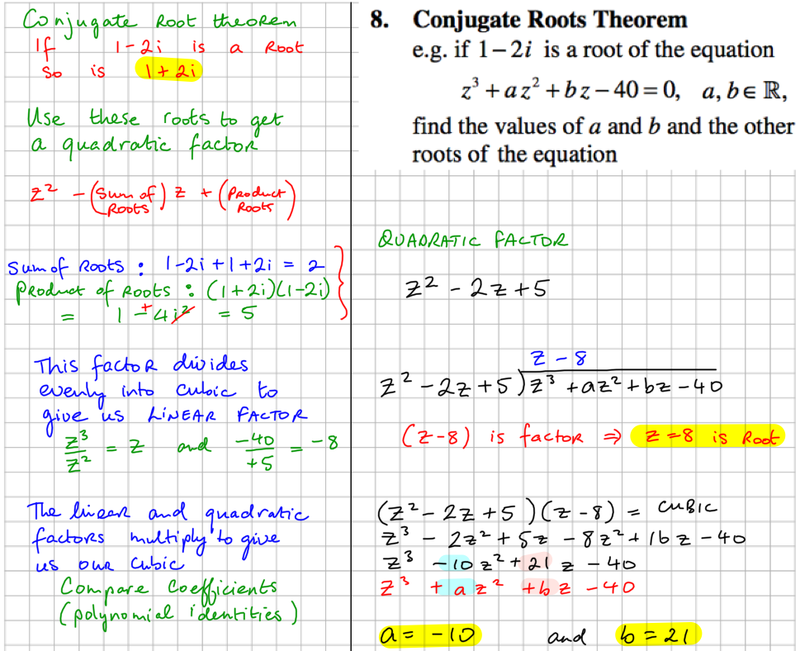 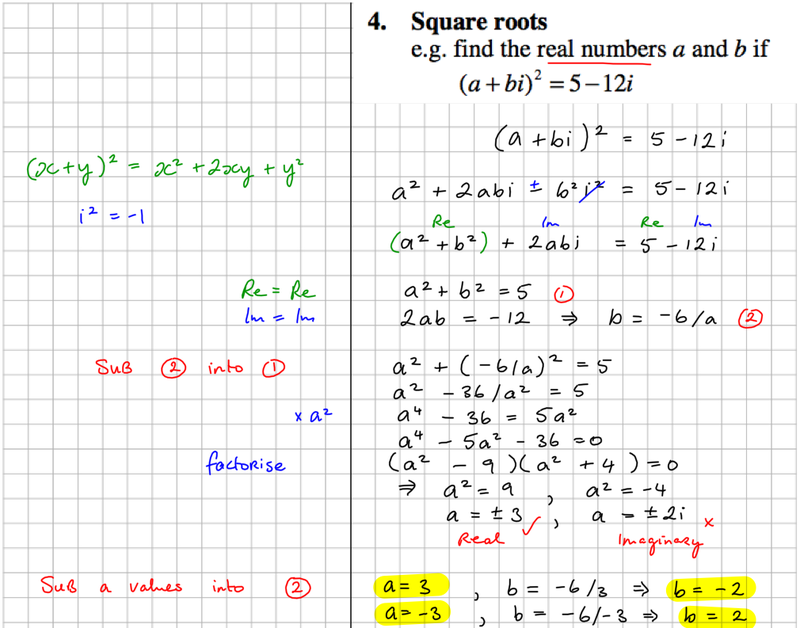 Solving quadratic and cubic equations with imaginary roots. 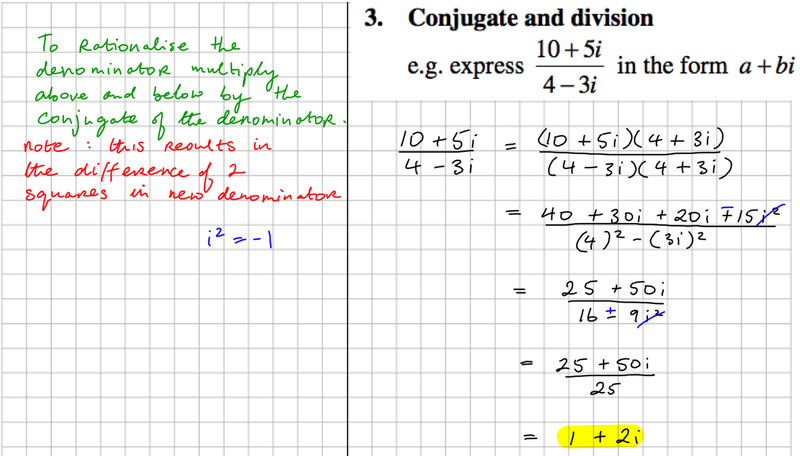 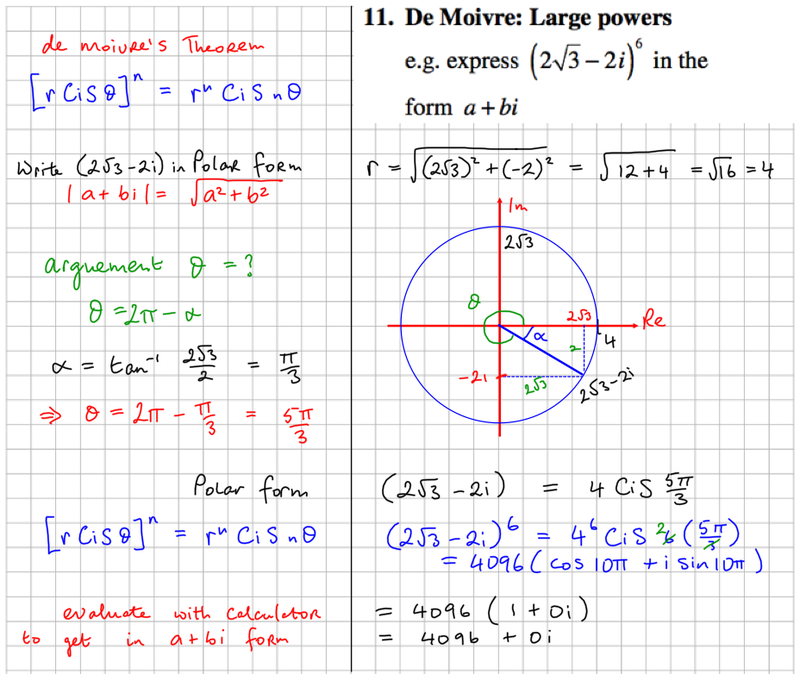 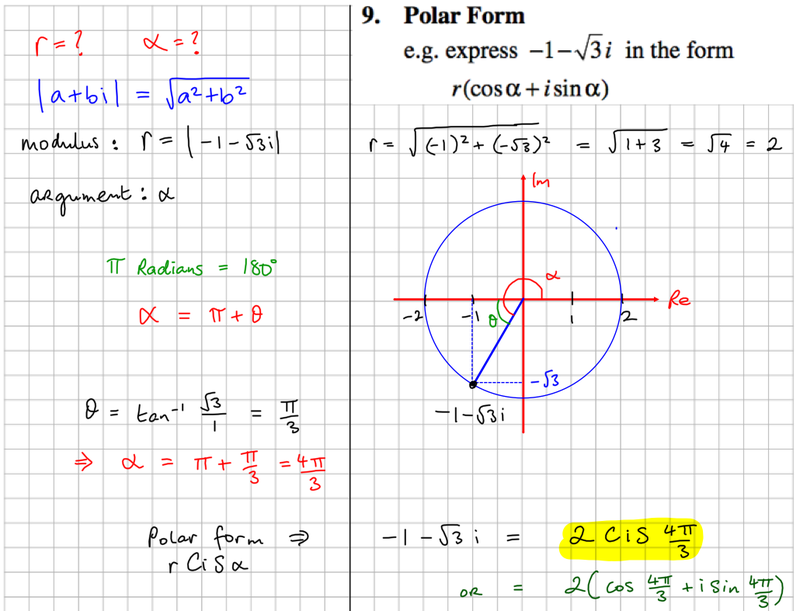 Multiplying and dividing in Polar Form and using deMoivre's Theorem to expand a complex number to a power. 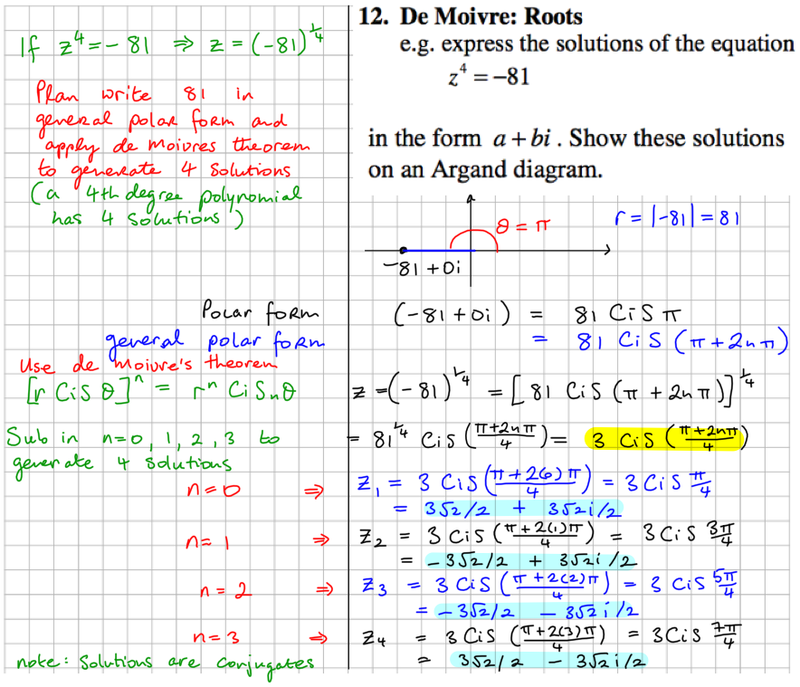 Using deMoivre's Theorem to find roots of a Complex Equation. 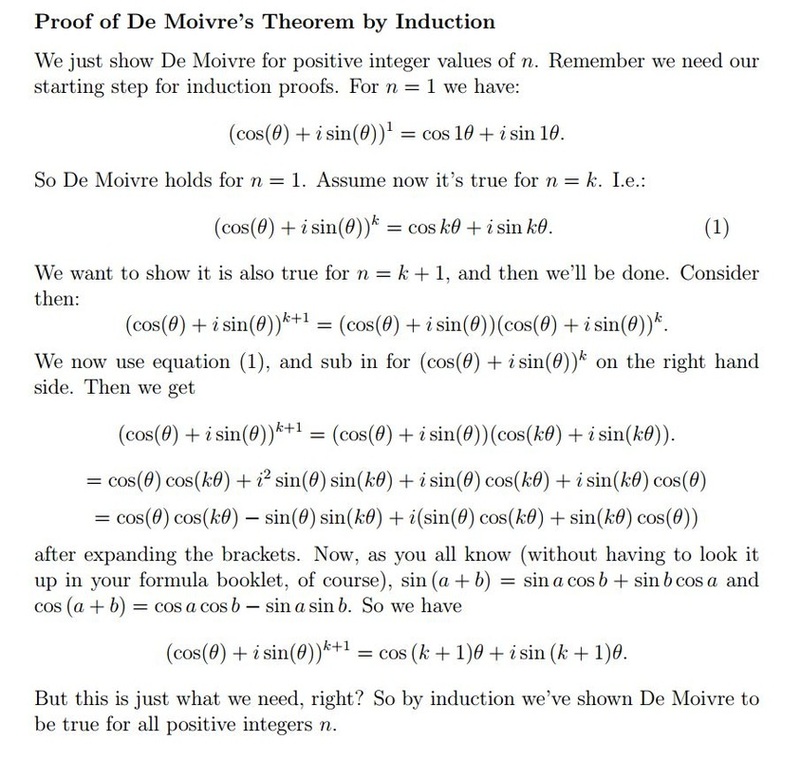 Using deMoivre's Theorem to prove Trigonometric identities. 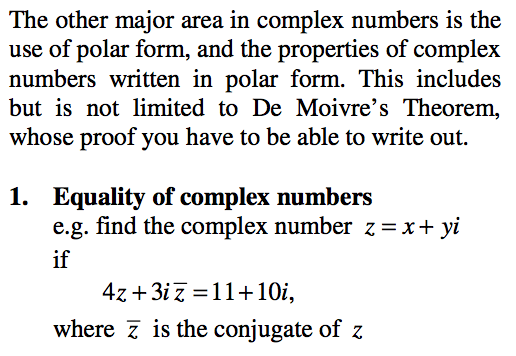 This question also requires use of the Binomial Theorem.